Story-driven case studies that showcase your customers’ successes to help you close more business faster. Who doesn’t love a good story? Me, I’m a sucker for romantic comedies and anything sci-fi, but we shouldn’t let the novelists and Hollywood film studios have all the fun. Your business can also harness the power of storytelling. Case studies leverage your customers’ successes by sharing their experiences – and results – in an engaging story format which brings your product or service to life, demonstrates your credibility and offers social proof. Let’s chat! Request a free consultation to find out more about case studies and my services. Each case study is completely tailored to your business goals and marketing messages. Focus on the rest of your to-do list while enjoying the relief that comes with knowing your case studies are being created for you, instead of by you. Your customers and your reputation are in good hands with my friendly, professional approach. "Charmaine is a fantastic writer with a talent for wrapping bigger issues into personal tales. She gets to the core of the matter and has been really easy to work with. I recommend her to anyone looking for a great storyteller and writer." 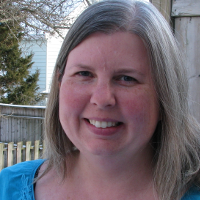 "Charmaine wrote a case study for CarShareHFX that exceeded our expectations. She made sure she was clear about our objective for the content and message, and organized the interview with our CarShareHFX member. The writing was clearly communicated about how families use our cars and I was given the opportunity to review for accuracy. The final product was just the right size and she also gave us ideas of how we can use it. I would highly recommend Charmaine for her writing talent." After we’ve signed on the dotted line, I go deep getting to know your company, goals, and products and services. Then I turn my eye to your customer, gathering as much information as I can about them before our interview. This upfront research helps me create the best possible case study for you. This process includes calls with relevant members of your team. Using what I learned from my research, I develop a set of questions for your customer, which I send to them before our 30-minute interview, along with information on what to expect from the case study process and a release form. During the interview, I use my interview chops to gently lead your customer to give up the goods – and all the glorious details that make a story compelling – on the challenges they faced, how your solution solved their problem, and the results they achieved. I send the case study to you for your feedback and make any necessary changes. I then send the case study to your customer for their edits and approval. You get a compelling case study that will help you meet your goals, along with the completed customer release form, and an mp3 recording and transcript of the customer interview. I work with an experienced designer to turn my words into a beautiful branded document for you. Need email and landing page copy to incorporate your shiny new case study into your sales funnel? Yup, I can do that. I can make your case study work harder by repurposing it into social media content, blog posts or presentation slides. Hi, I’m Charmaine, and I help purpose-driven businesses like you get more leads and sales with compelling case studies. I’ve been writing for clients and publications for over 10 years, but, like most writers, my love of a good story started many years before that. As a child I wrote bad poems and even worse short stories. It wasn’t until I wrote my first ‘Official Request For An Increase in Allowance’ letter to my dad that I began to understand the power of words. My dad received a lot of those letters over the years. Now I use those same (but thankfully much improved) writing skills for something other than pure self-interest by working with businesses that want to make a difference and make money. I put on both my journalist and my copywriter hat when creating your case study. This combination of storytelling, research, reporting, creativity and persuasion means that you get a case study that helps you make an impact and get results. Build trust and credibility, generate leads, and shorten the sales cycle with powerful case studies.